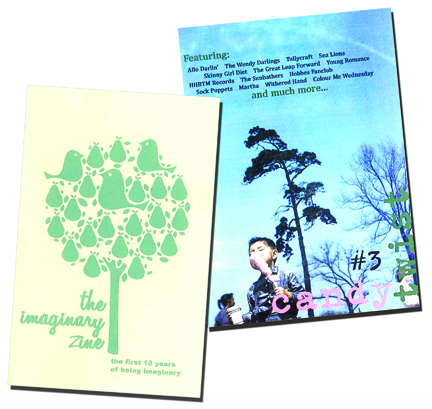 The Imaginary Zine is a full 60-pages recounting the first 10 years of the influential Three Imaginary Girls music website. Only 333 handcrafted zines were made, and each includes a cd of rare, live, or exclusive songs by a number of bands including The Long Winters, Visqueen, Boat, Tullycraft, Math & Physics Club and many more! Pick this up while supplies last. Order your copy here. The new issue of Candy Twist (from the Netherlands) is 108 pages and it features interviews with Allo Darlin’, Tullycraft, Sea Lions, The Great Leap Forward, Skinny Girl Diet, Martha, Young Romance, The Wendy Darlings, Sock Puppets, Withered Hand and Mike ‘HHBTM’ Turner. There’s also a round table with Sean Price, Kip Berman, Gail O’Hara, Pete Green, Roque Ruiz, Matt Haynes and Mike Turner. The first 100 copies will include an art postcard provided by Pete Bowers. Order your copy here. Today we have Luke Skrabacz performing Wild Bikini. 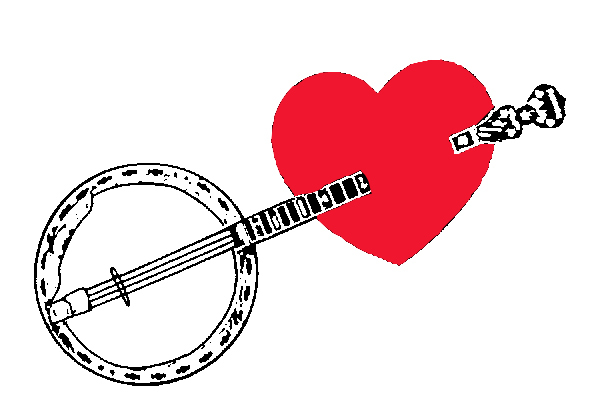 Thanks so much Luke for submitting this awesome banjo rendition!